Pennsylvania has already exceeded its annual average of statewide Hepatitis A cases. 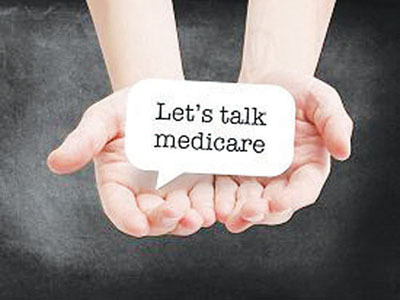 Please click here for more information, including causes of the disease. 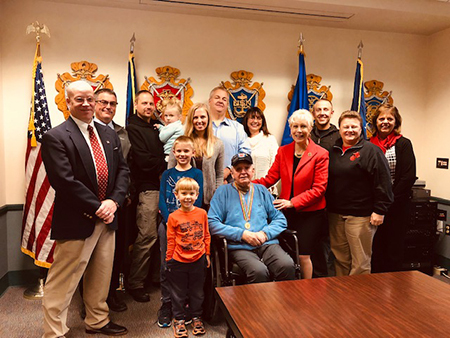 I recently presented A Korean War Ambassador for Peace medal to Louis Pugh, a resident of the Gino J. Merli Veterans’ Center (GJMVC) in Scranton. Mr. Pugh’s family and friends gathered for this event. 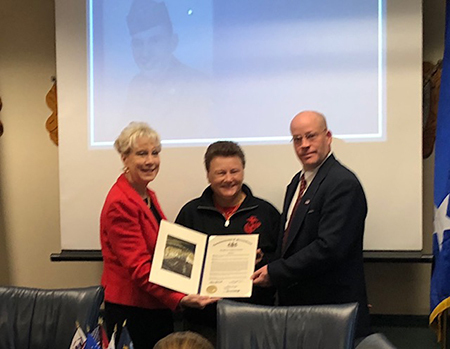 It is also the home’s 25th Anniversary and I proudly presented a citation marking the occasion to Marine Corps League Representative and Gino Merli Council Vice President Lisa Solarczyk, along with GRMVC Commandant James Miller. The Pennsylvania Treasury is in possession of more than $98,000 that belongs to organizations that support servicemen and women. 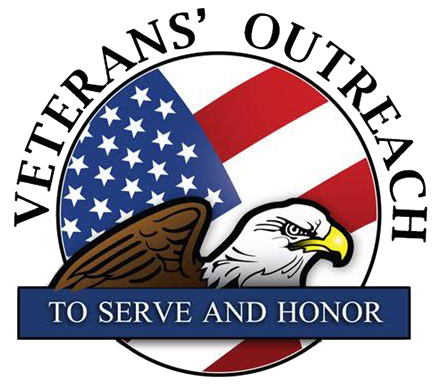 Please click here to view the list, which includes American Legion and VFW posts in Lackawanna, Luzerne and Wyoming counties. 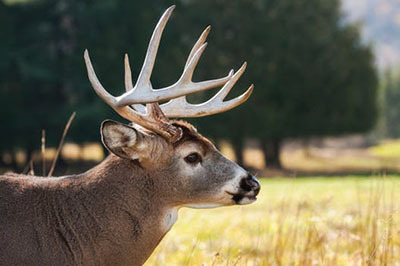 Good luck to those of you heading out for the first day of rifle deer season, which opens this Monday, Nov. 26. Please click here for some tips and reminders designed to keep you safe. As was announced at my Nov. 3 veterans’ event, admission to the Misericordia University Community Choir’s Thursday, Dec. 6, performance entitled “Carols From Around the World” is FREE to all veterans. 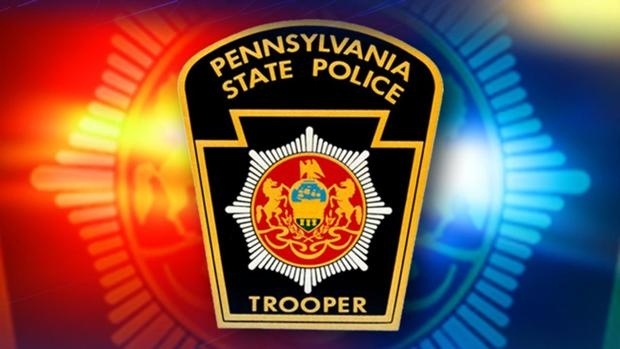 Trooper Manganiello also received the Colonel Ronald L. Sharpe Award, presented to the cadet who most exemplifies the qualities of leadership; and Trooper Phillips is the recipient of the Sergeant Charles B. Gesford Award, presented to the cadet who scored the highest on the department’s pistol qualification course. ….a representative from the University of Scranton Small Business Development Center will visit the Tunkhannock district office this Wednesday, Nov. 28, from 10 a.m. to noon. 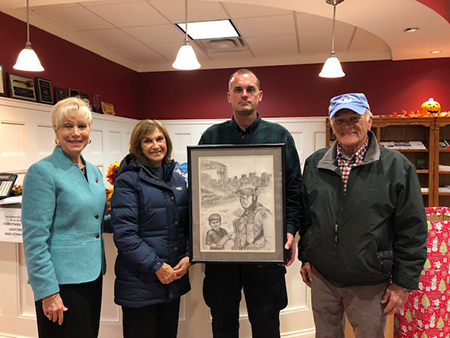 At the request of my office and the Dallas Township supervisors, Mary Ann and Jack Cleary (pictured here) presented an artist rendering of their son, First Lt. Michael J. Cleary, to the Dallas Township Municipal Building, located on Lt. Michael Cleary Drive. On Dec. 20, 2005, Lt. Cleary died while serving his country in Ad Duluiyah during Operation Iraqi Freedom when a roadside bomb exploded. Dallas Township Manager Martin Barry and I accepted this beautiful piece of art which will grace the lobby of the building.